While we all grow up knowing that death is a part of life, the grief that comes with losing a loved one is surprising and inescapable. Death and mourning, although universal, are treated differently across the world. Take a look into how other cultures say goodbye to their deceased; there may just be solace to be found here. Hindu Passing – While death may not carry the same finality for Hindu people due to their belief in reincarnation, mourning is still very real. A common Hindu tradition involves cooking an elaborate meal, particularly liked by the deceased, and bringing that meal to temple to be shared with the priest and the community. The ritual of sharing a meal, especially one that was a favorite of your loved one, may offer both a nice memory of the past as well as a reaffirmation of continuing life. 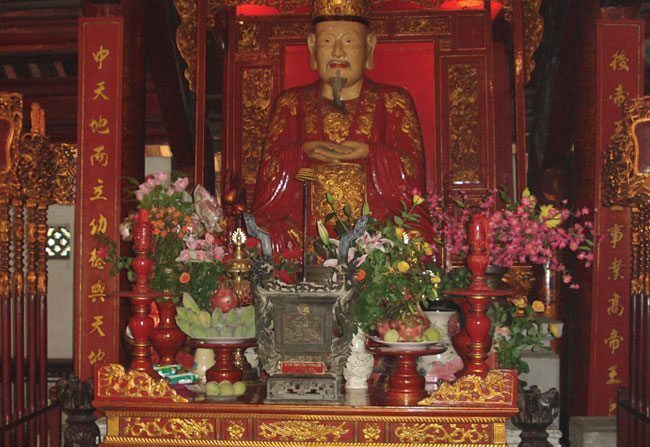 Vietnamese Passing– the Vietnamese people believe in continuing communion with their ancestors and as such create elaborate shrines dedicated to those whom they have lost. These shrines include photographs, beloved items, incense and candles. Whether or not you hold the belief of an afterlife, creating a special space with items and pictures of your deceased loved one can be a distinct comfort. Native American Passing – Native American tribes have varying traditions and rituals surrounding death and grieving, however one that holds true across a number of groups is that of burying items of special meaning along with the body of the deceased. It may be difficult to part with items that your loved one cherished, but it could also be cathartic and a way to attain some level of closure. Irish Passing – In Ireland, funerals and wakes are a very musical affair; there is usually a variety of both religious, mournful ballads as well as more cheerful songs geared at remembering good times instead of bad. Card games are also not unheard of. Grief is absolutely a necessary part of the process, but remembering the importance of continuing life cannot be stressed enough—embracing music and fun may be an important step in that direction. Chinese Passing – During a Chinese funeral, families are given red envelopes filled with money that must be spent. Again, the idea here is that life must go on and new acquisitions might just move you into that near future where you can look beyond your loss to a lifetime of remembrance. Despite our many differences, all cultures share the burden of death—in looking at the variety of traditions surrounding the passing of loved ones, we can take comfort in our essential commonalities, all the while finding new ways of alleviating our pain.